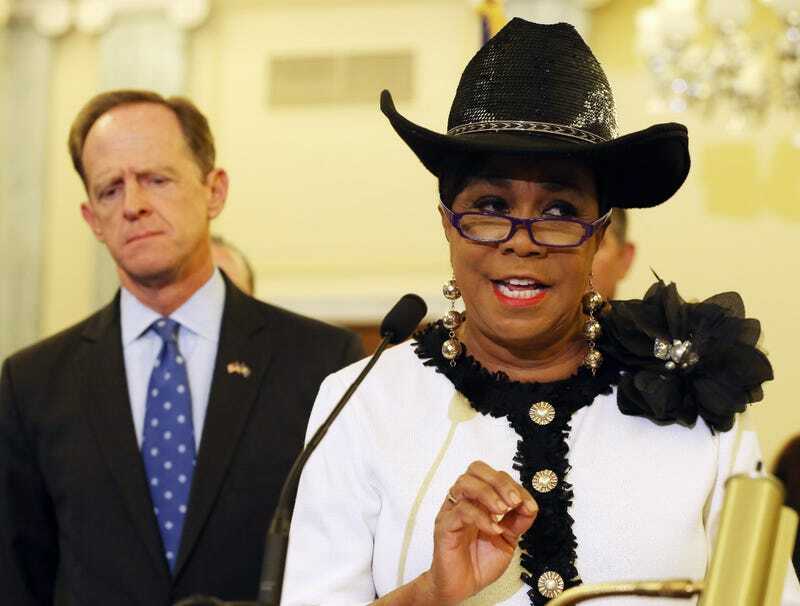 Rep. Frederica Wilson’s office says that the Democratic lawmaker received multiple threatening calls Wednesday following a public spat with Donald Trump. Wilson (D-Fla.) had publicly shamed the president for comments he made on a phone call to Myeshia Johnson, the wife of Army Sgt. La David Johnson, who was killed in a military ambush in Niger earlier this month. Wilson and Myeshia Johnson, who is six months pregnant with the couple’s child, were on the way to receive Sgt. Johnson’s remains at Miami International Airport. Speaking to the press about the phone call, the congresswoman did not mince words, saying she was “livid” about the president’s disrespectful comments. Wilson’s staff told CBS Miami on Wednesday that the threatening calls Wilson’s office has received were directly related to the president’s phone call with Myeshia Johnson. Capitol Police have been alerted, as has the Miami Garden, Fla., Police Department and the threat division of the U.S. House of Representatives. Trump has disputed Wilson’s account of the phone call on Twitter, claiming he had “proof” that the lawmaker fabricated what he said. White House spokeswoman Sarah Huckabee Sanders defended Trump’s comments on Wednesday, but confirmed that there was no recording of the phone call. Wilson’s version of the call was later confirmed by Sgt. Johnson’s mother, Cowanda Jones-Johnson, who told the Washington Post that she was present during Trump’s phone call to her daughter-in-law. Wilson, who has a long-standing relationship with Johnson’s family, told the Times that Trump never once used La David Johnson’s name in his phone call to his wife.